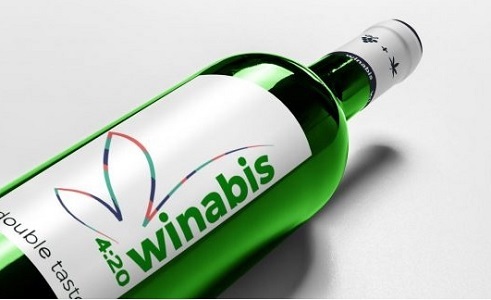 Spanish company Winabis has launched a green, lower alcohol, CBD-infused wine “with a daringly high blend of cannabis aromas,” which it is now selling online for €16.95 ($19.29 US) a bottle. Having first brought us blue wine courtesy of Gik, it seems the Spaniards are as fond of colour in their wines as they are their gins. Winabis is infused with Cannabidiol (CBD), a compound found in cannabis believed to be non-psychoactive, unlike Tetrahydrocannabinol (THC) which is the principal psychoactive constituent of cannabis. With a maximum alcohol content of 9.5% ABV, the emerald-hued wine is described as medium sweet with flavours of peach.